There is something to be said for small, less ambitious, less arrogant countries....like Malta. The US Court of Appeals for the District of Columbia Circuit in February sided (PDF) with the government and ruled that the policy did not need to be disclosed under a Freedom of Information Act request from the Electronic Privacy Information Center. The court agreed with the government's citation of a FOIA exemption that precludes disclosure if doing so "could reasonably be expected to endanger the life or physical safety of any individual." We are SO behind the game..
A perfect house for a hermit...what do you think? We cannot invite non-Christians to Church? Why? Persecution Watch. Miss Wasteney will be represented in court by human rights barrister Paul Diamond, and her appeal is supported by the Christian Legal Centre, according to The Sunday Times. Chief executive of the centre Andrea Williams told the paper: ‘Persecution starts with marginalisation. ‘Where countries let go of a cohesive Christian world view you get chaos and marginalisation. Numerous historic buildings and archaeological locations, including all six UNESCO World Heritage Sites in Syria, have been damaged. Although for the sake of peace of mind and time, I am no longer accepting comments, I want to thank the many, many faithful readers who continue to encourage me with numbers to write this blog. You have no idea how many times I have recently wanted to stop writing. 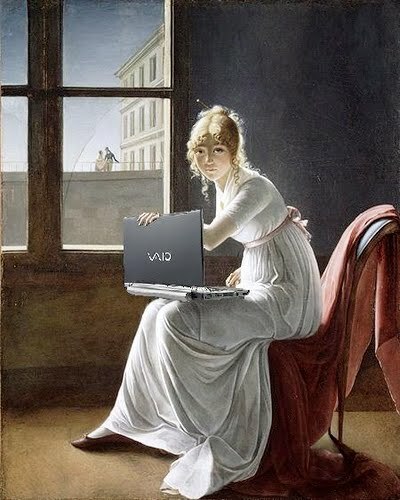 I shall continue writing because I love the Truth, Who Is a Person, and His Church-YOU! When was the last time you heard a sermon on hell? For me, it was in Ireland at a Latin Mass in the Summer of 2013--a long time ago considering all the Masses I have attended since then. A myth exists of the pre-Vatican II pastors emphasizing hell. That was not my experience. Vatican II did not change sermons, but a later instruction to priests concerning using the Scripture of the day more created the homily with which most of us are familiar. Here is the "rule" from GIRM on homilies. Now, priests are much better trained in the Scriptures and can speak on the readings of the day, plus they are given much help from the Church through commentaries and the works of the Doctors of the Church. Note, however, that the "particular needs of the listeners" must be taken into account. With so many Catholics no longer thinking, or even believing that one can go to hell because of the rampant heresy of "universal salvation", does this fact not indicate that preaching on hell is a particular need of every congregation? Blesseds Jacinta and Francisco of Fatima, SS. 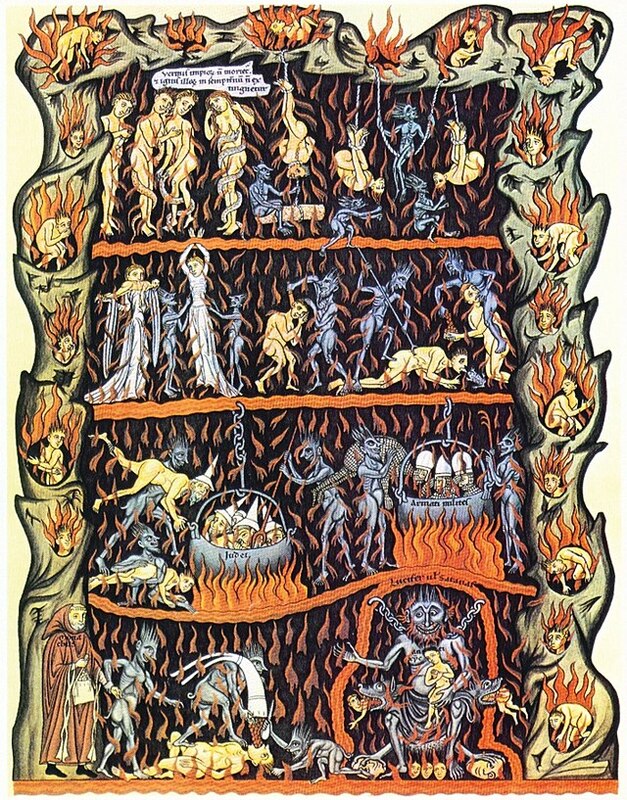 John Bosco, Teresa of Avila, Faustina, and others had visions of hell, visions which are not part of doctrine, but uphold the Church's teaching that hell is a terrible place of punishment to be feared and avoided. Many councils refer to hell, even Vatican II reiterates the doctrine of hell. "Since we know not the day nor the hour, on our Lord's advice we must constantly stand guard. Thus when we have finished the one and only course of our earthly life (cf. Heb. 9:27) we may merit to enter into the marriage feast with Him and to be numbered among the blessed (cf. Mt. 25:31-46). Thus we may not be condemned to go into eternal fire (cf. Mt. 25:41) like the wicked and slothful servant (cf. Mt. 25:26), into the exterior darkness where 'there will be the weeping and the gnashing of teeth' (Mt. 22:13; 25:30)." 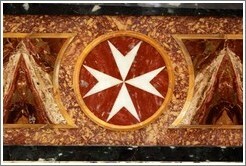 Lumen Gentium, no. 48. "Therefore, all who die in actual mortal sin are excluded from the kingdom of God and will suffer forever the torments of hell where there is no redemption." First Vatican Council. The Councils of Basel, Ferrara and Florence make for interesting reading. Schism and the plague caused the Pope to move to Florence where important doctrines were clarified. One can follow some of the history here. This council holds many important decrees concerning the sacraments among other significant statements on the Copts and Armenians, as well as many condemnations of various heretics and schismatics. 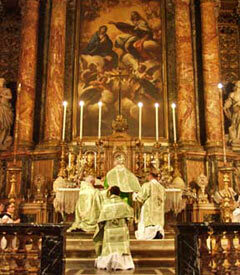 There are also statements on indulgences and many other teachings,including teachings on Christ and the Trinity. But, the section of the decrees highlighted in this post on hell follows. In this section, the Council Fathers refer to purgatory, and then, hell. Also, if truly penitent people die in the love of God before they have made satisfaction for acts and omissions by worthy fruits of repentance, their souls are cleansed after death by cleansing pains; and the suffrages of the living faithful avail them in giving relief from such pains, that is, sacrifices of masses, prayers, almsgiving and other acts of devotion which have been customarily performed by some of the faithful for others of the faithful in accordance with the church's ordinances. Also, the souls of those who have incurred no stain of sin whatsoever after baptism, as well as souls who after incurring the stain of sin have been cleansed whether in their bodies or outside their bodies, as was stated above, are straightaway received into heaven and clearly behold the triune God as he is, yet one person more perfectly than another according to the difference of their merits. But the souls of those who depart this life in actual mortal sin, or in original sin alone, go down straightaway to hell to be punished, but with unequal pains. So, why no sermons on hell? The majority of people seem to be living in mortal sin-most young people now fornicate, and homosexual relations have been accepted by most societies in the West. Greed, which is another name for avarice, gluttony, anger, and the entire list of capital sins create headlines in the news relating to politicians and leaders of the world, including Catholic ones who support abortion and contraception. Compromise is the name of the game. And, yet, talking about hell seems verboten. How can Catholics comes to a realization of hell if the pastors avoid the subject? How can those thousands, if not millions of people, who may be facing eternal damnation not be challenged by pastors to think of their ultimate destiny? Natural law dictates that many sins have severe consequences. The Catechism of the Catholic Church restates the seriousness of the four sins that cry out to God for vengeance. It is time for priests to preach on hell for the good of all of our souls. 11 But Mary stood weeping outside the tomb. As she wept, she bent over to look[a] into the tomb; 12 and she saw two angels in white, sitting where the body of Jesus had been lying, one at the head and the other at the feet. 13 They said to her, “Woman, why are you weeping?” She said to them, “They have taken away my Lord, and I do not know where they have laid him.” 14 When she had said this, she turned around and saw Jesus standing there, but she did not know that it was Jesus. 15 Jesus said to her, “Woman, why are you weeping? Whom are you looking for?” Supposing him to be the gardener, she said to him, “Sir, if you have carried him away, tell me where you have laid him, and I will take him away.” 16 Jesus said to her, “Mary!” She turned and said to him in Hebrew,[b] “Rabbouni!” (which means Teacher). 17 Jesus said to her, “Do not hold on to me, because I have not yet ascended to the Father. But go to my brothers and say to them, ‘I am ascending to my Father and your Father, to my God and your God.’” 18 Mary Magdalene went and announced to the disciples, “I have seen the Lord”; and she told them that he had said these things to her. 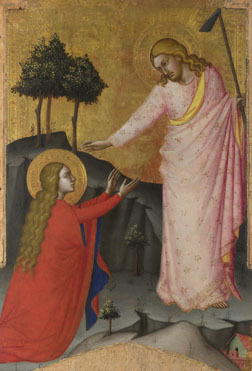 One of the most mysterious sayings of Christ in the entire New Testament occurs when He meets Mary Magdalene in the garden tomb area after His Resurrection. Christ tell me not to "hold" on to him, not to touch Him, as He has "not yet ascended to the Father." That is mysterious enough, but Christ goes on to tell Mary that she must carry the message of His ascending "to my Father and your Father, to my God and your God." Was Christ stating that after the Resurrection He went up to heaven, or is He prophesying His Own Ascension which will happen in forty days? And, in either case, why cannot Mary touch Him, or "hold" Him? This passage has nothing to do with the fact that Mary was a sinner, as she has, at this time, been forgiven and witnessed the Crucifixion, thereby earning great merit, with St. John and those who did not run away. The great sinner, now a holy follower of Christ, is also given the task to be a messenger to the apostles. Christ entrusts her with the news of His Resurrection-a great honor. Here are a few thoughts on this event. I see this as a Eucharistic and Priestly revelation. Mary was told not to hold on to Jesus as Christ was now in His Glorified Body-He is no longer the pre-death Jesus, but the Victor over death and sin, having been to Hell and brought the captive faithful, now freed, to heaven. He is revealing to Mary His Divinity, in a way which before the Resurrection was mostly hidden. Only three apostles witnesses the Transfiguration, a hint of Christ in Glory. Now, many will see Christ Glorified Body. Christ has not yet ascended into heaven, where He will reign until the Second Coming. We relate to Christ in a different manner, through the Eucharist, through the Church, through grace which leads to Union. Christ will become "universally touchable"-available to all men and women, not just those who knew Him on earth through the Eucharist. Mary is told of a new relationship. None of us can claim Christ as "only" our Lover, our Bridegroom, although that is the goal of all Christians who desire an intimate relationship with Christ. Yes, He is a personal Savior, but so much more. He is now the King of Kings, and Lord of Lords, the True Messiah Who leads all men and women to God, His God, the Father, and our God. Christ is revealing Himself to Mary as the Second Son of the Blessed Trinity, in Glory with the Father and the Holy Spirit. Her initial zeal is checked by a new revelation. Christ will now dwell within Mary, and all of us in the Indwelling of the Trinity. The apostles, especially Thomas, are allowed to touch Jesus-because they are priests. Sharing in the Priesthood of Christ, they have a relation to Him which women do not, not because women are less in honor, but because Christ created the male priesthood at the Last Supper. This "noli me tangere" may very well be Christ's way of explaining to His followers that His Presence must be reverenced in a new way. Yet, Mary is given the task to tell the apostles Christ is Risen. She is the bearer of the Good News to the men who did not come to the tomb, until John and Peter run back after Mary tells them. The women know first because their love is greater-they were not afraid to bring herbs and spices despite the soldiers being on guard. Christ responds to their love.